First published: 2012 – 2013 in six volumes. Compiled into one volume in 2014. 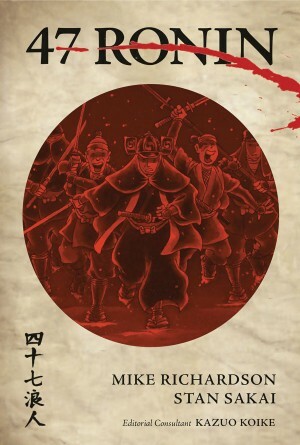 Summary: This graphic novel is based on the true story of Japan’s national legend, as told by Dark Horse comics. The tale of the 47 Ronin and their mission to avenge their dishonored master embodies the samurai code of honor. The story takes place at the beginning of the 18th century. The graphic novel begins with the incident that led to the death of Lord Asano and then follows a group of Asano’s dedicated samurai on their path of vengeance. 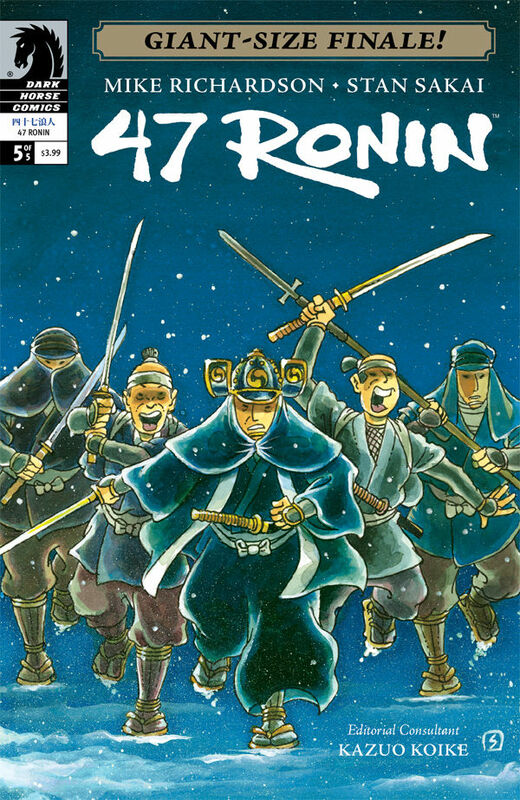 47 Ronin is beautifully illustrated, with color throughout the entire graphic novel. A lot of research was put into this novel, with several detailed explanations of the process at the end of the compiled volume. There are also several images of prints by Ogata Gekko (1859-1920), an artist of the Meiji period. He created woodblock prints based on the legend of the 47 Ronin. There are many versions of the legend of the 47 Ronin that are told in various forms, from puppet plays to kabuki. This graphic novel presents the authors interpretation of the legend as they learned from their years of research. You might enjoy this if: You want to learn more of the basic legend of the 47 Ronin. You might not like it if: You are a 47 Ronin expert that is looking to nitpick the story. Note to the Reader: While this is a bloody tale of seppuku and vengeance, there is not a lot of violence shown in the graphic novel. All the violence is presented in a tasteful way. This entry was posted in Manga and tagged 47, action, adventure, fragglepuss, graphic, historical, honor, japan, japanese, legend, manga, mike, novel, review, richardson, ronin, sakai, stan. Bookmark the permalink.